What’s happening with Germany’s coal phase-out? - Unearthed What’s happening with Germany’s coal phase-out? Last year the German government convened a 24-person commission to plan the country’s move away from coal power. This week the group delivered its verdict: get off coal entirely by 2038. We asked Greenpeace’s Martin Kaiser – who sat on the commission – to explain what the proposal is, and if it’s enough to stave off climate change. So what has Germany’s coal commission decided? First of all, the commission can’t decide anything. 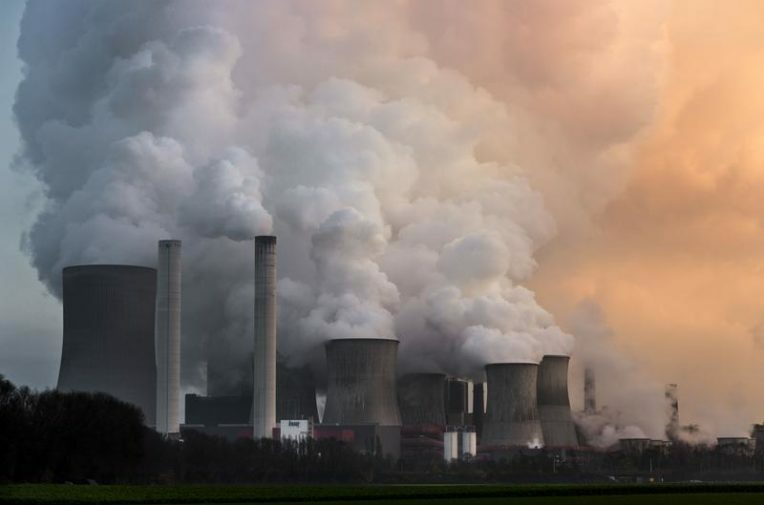 It was set up to work out a proposal for how Germany can quit coal in a socially responsible way whilst also making sure the country can meet its 2030 climate target and close the gap to its 2020 goal as quickly as possible. That said, after the enormous efforts of the commission over the past 7 months to find an agreement between parties as diverse as unions, industry reps, energy utilities, mining regions and environmentalists, it’s hard to imagine that the government won’t adopt its recommendations. The most important part of the proposal – and the commission’s very existence – is that Germany, home of the Energiewende, but also world-champion in lignite burning, has finally decided to get off coal for good. The deadline for that phase-out is 2038, with several opportunities to review the plan and see if it can be accelerated. The phase out will start immediately: Over the next three years (until 2022) coal capacity of more than 12GW (5 of lignite, 7.7 of hard coal) will be removed from the grid. That’s about a third of Germany’s entire fleet. Now obviously – since the commission needed everyone on board – there are some pretty significant problems with the proposal’s goals. The 2038 phase-out date fails to meet the Paris Agreement’s climate target and was voted against by the environmental groups on the commission (including Greenpeace). And the speed of the phase out between 2022 and 2030 is far too slow, which again the three NGOs within the commission voted against. 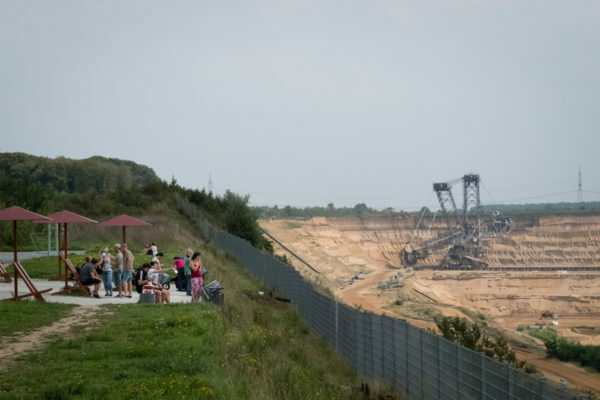 Finally, although Hambacher forest can finally be spared from RWE’s mining plans due to the planned lignite reductions, there was a glaring absence of any statement about how all threatened villages must be saved. How is Germany planning to close these plants? The proposal does not speak about individual plants, it only mentions capacity reductions. It’s now up to the government to figure out which plants will deliver the needed GW-reductions. There will be compensations for the utilities, but again the details will be determined by the government. Lignite Mining in North Rhine-Westphalia, the biggest emitter of carbon dioxide in all of Europe. Photo: Greenpeace. Germany hasn’t been making any progress in reducing its carbon emissions for close to a decade, but with the coal phase-out in place this is almost certain to change. It will add the much-needed second leg to the energy transition. The country’s stalling emissions showed that it’s not enough to boost renewables if you leave an aging brown coal fleet untouched. These plants are cheap, old(some are more than 50 yrs old) and hard to compete with economically, but also very dirty (a brown coal plant emits about three times more CO2 compared to a modern gas power plant.) Now the renewables boom can start to become a success for the climate. Germany, the world’s fourth-largest economy, is moving into a decarbonized future without relying on nukes and that’s obviously a big deal. With the coal phase out in place the path is cleared to eventually focus on other key areas of decarbonisation such as transport. The commission’s proposal ensures that the energy sector reaches its 2030 target which was modeled on a 2° trajectory. So it is not in line with 1.5 and that is a big problem. Ending coal only in 2038 is unacceptable and sets a bad example to other countries – which is why environmental NGOs voted against it. Is there anything people can do to try to accelerate the phase out? As much as this proposal leaves to be desired, the important progress it does make could only have been achieved with the tens of thousands of demonstrators marching for Hambacher Forest, asking for more climate action, and the pupils and students who have gone on strike on Fridays. Similarly I believe that a loud voice of civil society is crucial to accelerating the phaseout. This voice should first be heard during the legislative process ahead when the proposal will be put into law by the government. Here, the climate movement needs to ensure that there must not be any weakening of the proposal and contrary to emphasise the urgency to move ahead faster. The proposal includes a number of assessments (in 2023, 2026, 2029 and 2032) to look at things like electricity prices and the necessary structural changes in the mining regions as well as progress in climate protections and I’m certain that the Paris Agreement goals and the need for a faster decline in emissions can and must be taken into account here.